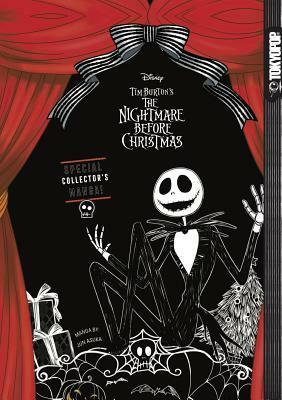 Synopsis: Manga publishing pioneer TOKYOPOP brings you a special edition gorgeous hardcover manga based on the classic Halloween masterpiece Disney Tim Burton s Nightmare Before Christmas. A must-have for manga fans, Tim Burton fans, and Halloween fans alike!! Collect this horrifying masterpiece!" About the Author: No information available at the time of this posting. Review: Absolutely love this manga. It brings across the existential crisis that Jack is going through, and brings new dimensions to the story told in the movie. If you are a fan of the movie and philosophically leaning manga, then you must read this. The art is beautiful, and truly captures the spirit of the film.